It was already dark when I passed this brightly lit window and I could not resist. Here they played Májiàng (Mahjong), a very popular board game. 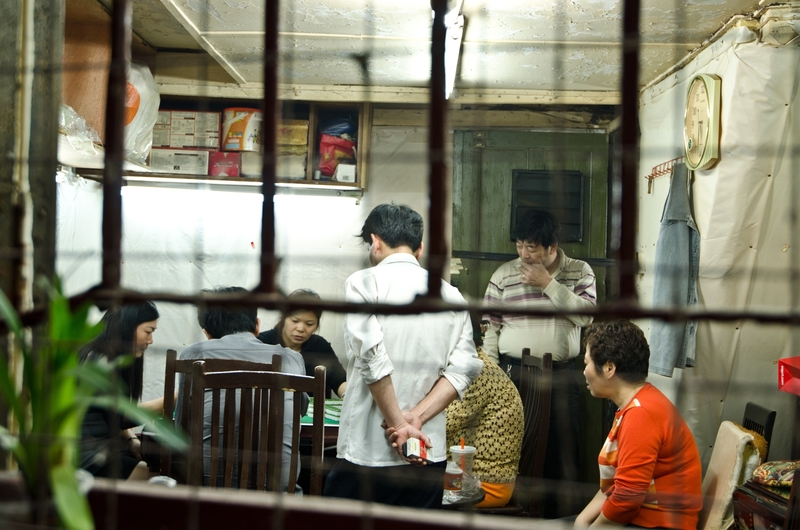 Almost everywhere I go in China people take their time together for playing cards and board games. Mostly sitting outside in parks, in front of their houses or even next to the streets, wherever there is room for a little table and stool.